Apps’ updates usually go with «Some bugfixes and minor improvements». Well, our new version 1.3.0 for Android is not the case. We add three new features that we believe will help you to manage your finances more efficiently. Constant analysis of your own finances is a surefire way to success. It helps you assess your progress, identify savings opportunities, and plan a perfect budget. We add reports so it won’t take a lot of time and efforts. It’s always easier to analyze data if it’s presented visually. In order to view past periods, click on the period line, then choose the necessary one from the list or use the arrows on the sides. 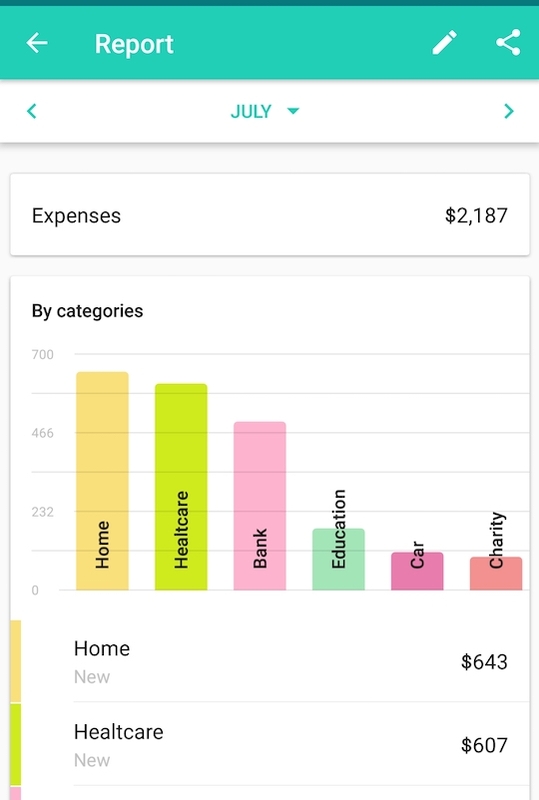 If you’ve generated a report for the entire wallet or several categories, you can view data for each category. Click the necessary category under the main chart to see a report for it. You can easily export finished reports in CSV. This may come in very handy for business trips or your own business accounting, for example. Create a separate wallet for your trip, enter your expenses, then generate a report and forward it to your manager. Make a report, tap on export button in the higher right corner, choose CSV and pick the way to export. Tracking your income is as important as expenses. This is the only way to grasp your entire financial landscape. We thought it would be right to add this feature to the standard version of the application and did it without further ado. 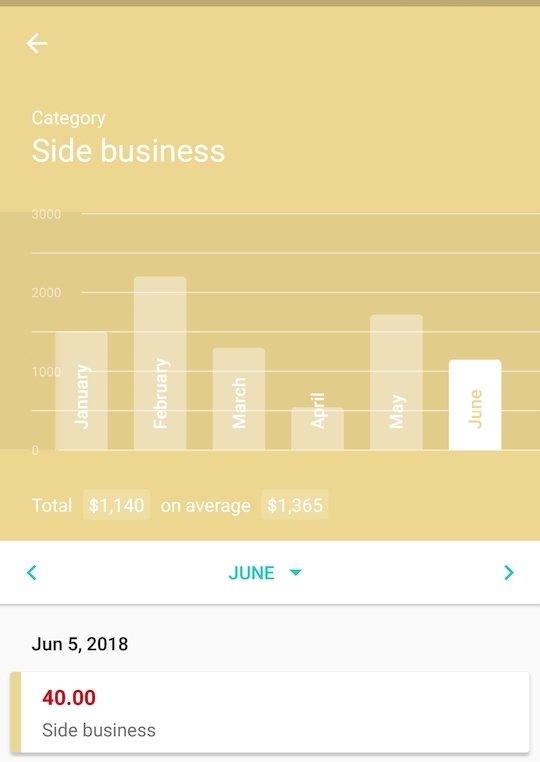 Incomes are now available in the free version of the app.